Great cast. A rival to All That Skate? I'd rather say the main aim of the show is different from that of ATS. I went to the ticketing site today to buy a couple of tickets for myself. They blocked half of the seats, most probably for the LG family portion. I got the impression that LG, the main sponsor of the show, does not care much if the show is profitable or not. They offer English version. ETD: Japanese and Chinese versions are not ready yet. The language button is at the top right corner. * F1-4, F9-10: excluded from sale. probably for LG family/guests. * F5-6: First three rows were excluded from sale. probably for management agency's VIP's. * A1-4, A11: excluded from sale. probably for LG family/guests. * A5-A10: First three rows were excluded from sale. probably for LG family/guests. 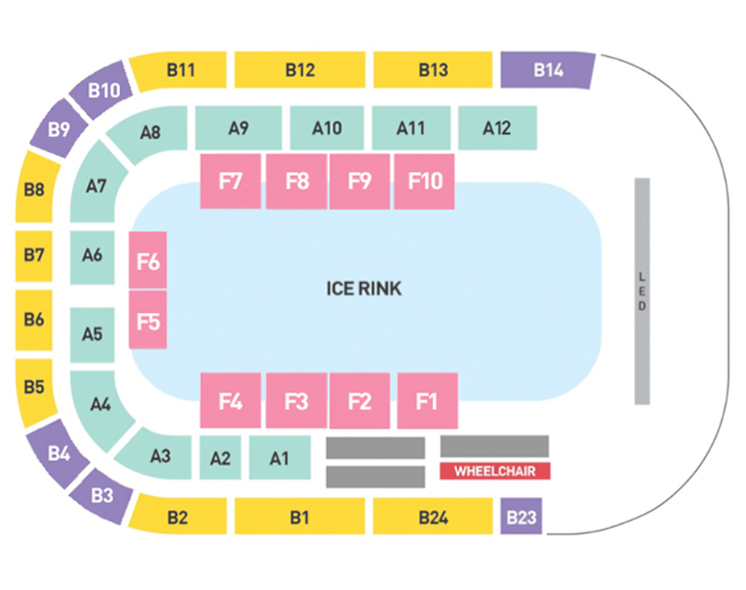 * half of A12, A13, A18: probably no-seat area due to view problems. * B24, B1-2, B8, B13: excluded from sale. probably for LG family/guests. * B5-B7, B11-12: First two rows were excluded from sale. probably for LG family/guests. * B21-22, half of B14, B15: probably no-seat area due to view problems. IIRC, Jason Brown originally was listed for the first show of the U.S. SOI tour on April 18 - this must have been the scheduling conflict. Was that Tessa at the front of the bus? Brian Orser at the back of the bus. You can find Shae-Lynn Bourne and Brian Orser at the back of the ice. "백만송이 장미" is originally "Dāvāja Māriņa meitiņai mūžiņu" in Latvian, which is also called "Миллион алых роз" in Russian.